The penultimate day before I arrive in Adelaide. Today I have decided to have a ride through the Barossa Valley. Which is just south to where I am at the moment. 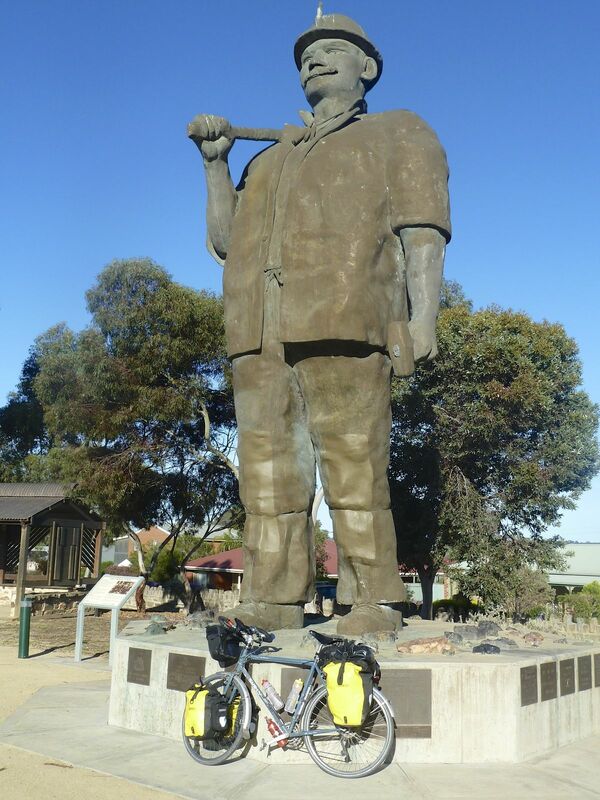 On the way out of Kapunda there is a statue of a giant Cornish miner called Mat. He was erected to commemorate the number of miners from Cornwall which came to this area to dig out the copper. 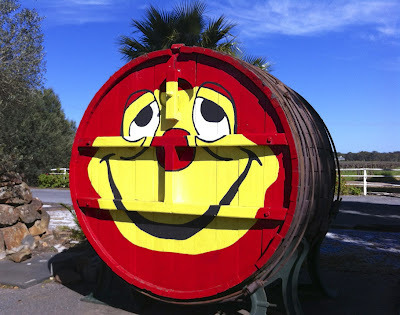 I then continued on into the Barossa Valley. This region is another area renowned for wine growing. It is a lovely sunny day with mostly a tailwind giving me a push. So I was enjoying great views of the vineyards. So many of them. 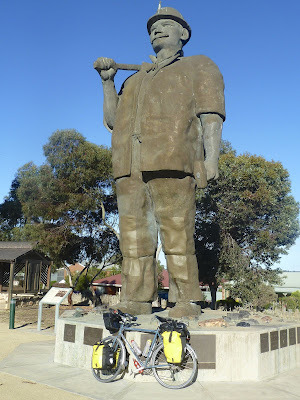 I stopped at Tanunda for second breakfast. Tanunda was setup by German immigrants, so it has a slight European feel to it. 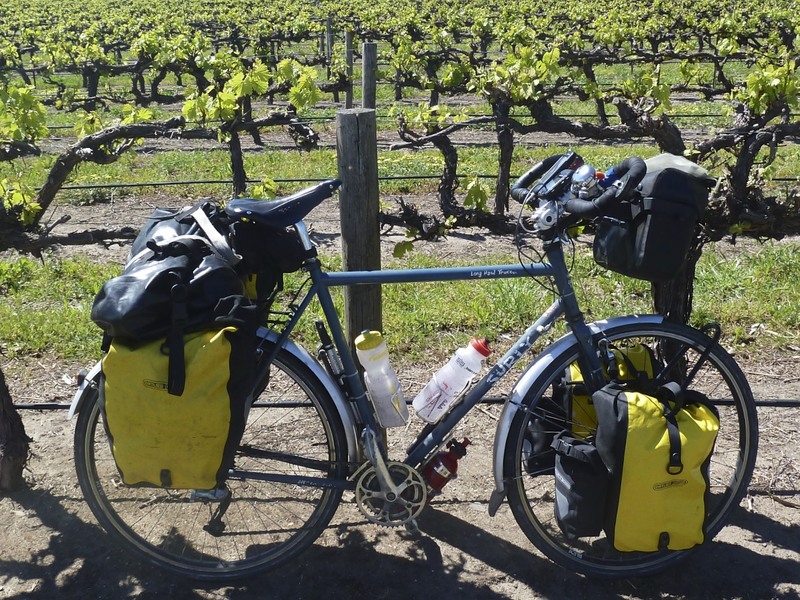 Once I had finished looking around Tanunda I rode on through the Barossa, passing through picturesque vineyards and towns. Such a beautiful day. I was really enjoying going up and down the hills just enjoying the views. Before I knew it I was at Williamstown. Another pretty town at the southern end of the Barossa. At Williamstown I had to make a decision on which road to take. I decided to go the longer way via the Mount Crawford Forest Reserve. 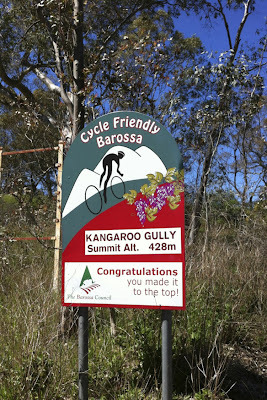 Adds about an extra 10km to today's ride. It was a very nice detour. I started to climb one of the many hills in the area. 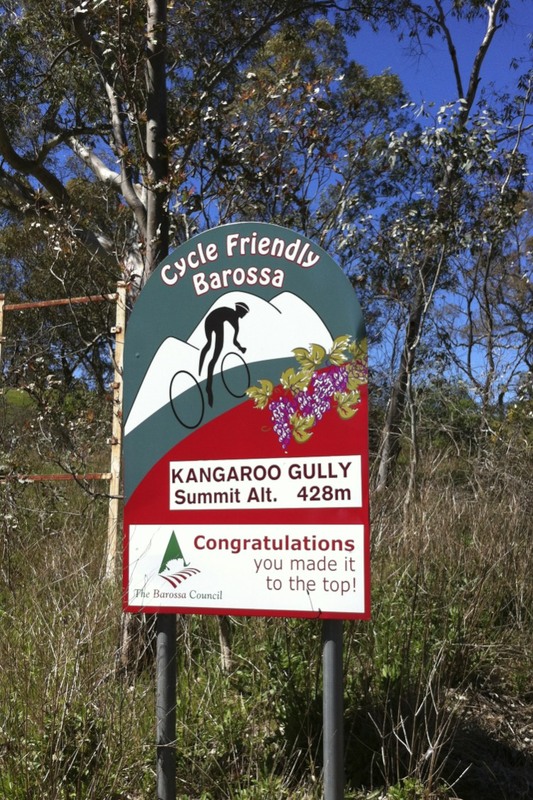 The local council have put up signs telling you how long the hill climb goes for and also when you get to you top. Such a great idea. The views also changed from vineyards to managed pine forests and then to orchards. 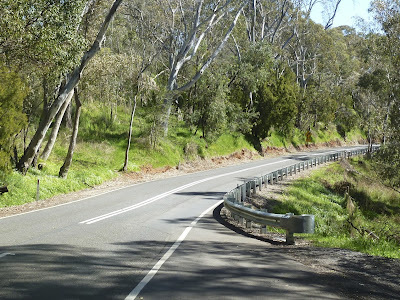 At another junction I arrived at a small town called Gumeracha. 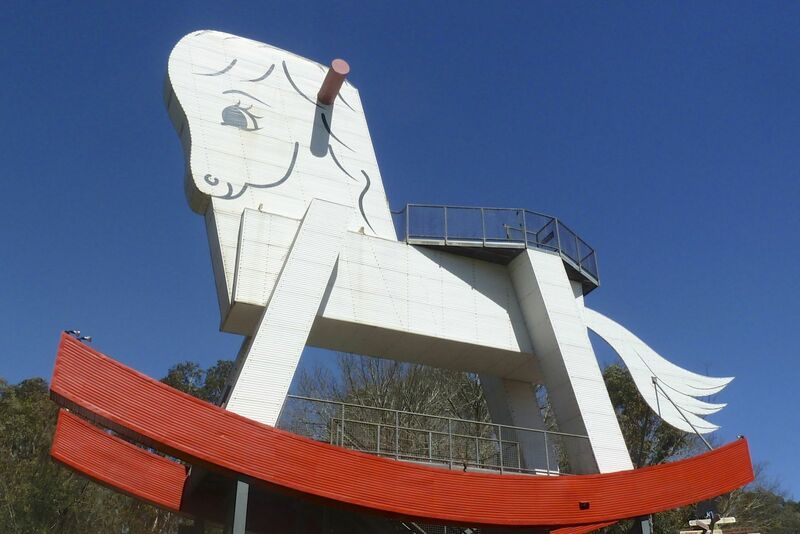 Just near this town is the biggest rocking horse in the world. The funny thing about this rocking horse is that it actually doesn't rock. So two big things today! After admiring(?) the big rocking horse I followed the Gorge road. This road Torrens River, which flows through to Adelaide. Once again I enjoyed great views and quiet roads. I was kind of disappointed when I arrived at Cudlee Creek Tavern and caravan park. Because this is the end of a fantastic ride for today. Cudlee Creek is about 30kms from Adelaide. It is located in a valley and you are surrounded by bushland. A very idyllic location for my penultimate night. You wouldn't know that a big city is not very far at all. So tomorrow will be a short final ride into Adelaide following the river which I followed today. I hope it is as fantastic as today's ride.